Ari’s Favorite Things 2017 Bonus! Every year, Ari counts down his favorite cheese, bread, olive oils, honeys, chocolate, classes and more around Zingerman’s in our November/December Newsletter. This list is a great way to learn about products you may have never tried. Here you’ll find some bonus items that we saved just for this blog post. 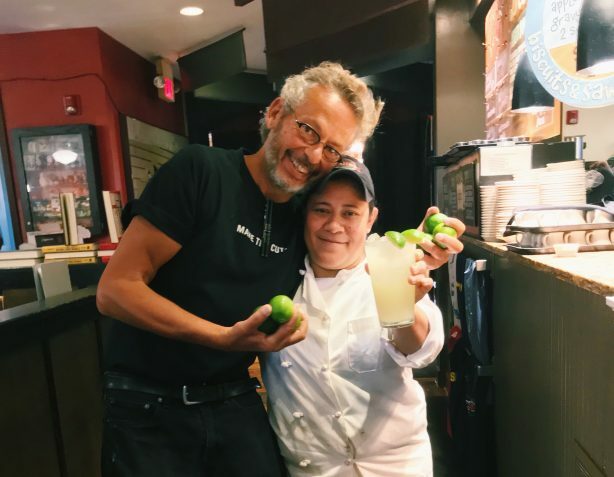 Ari with Zingerman’s Roadhouse line cook Maria and a glass of limeade! I’ve been working to make this happen for, I don’t know, maybe five years! And now it’s here! I’m extremely excited! A) because it tastes so great. And B) because limeade has a strong Ann Arbor tradition, one that I can remember from student years here on campus. Let’s start with the history. I have only vague memories of Drake’s Sandwich shop. It was on North University, just east of State St.. It was run by Mr. Tibbals who was in there working pretty much ‘til it was sold, by which point I believe he was close to 90. By the time I got to town for school in the ‘70s Drake’s was already a six-decades-old institution. The one thing I do really remember was the limeade. Their other items—stuffed sandwiches on white bread, grilled cheese and cinnamon rolls were both pretty standard. But limeade? You could go a long ways and not see it again. In fact, I did go decades and haven’t seen it since. Which is why, I’m now over the moon, past the sun and into the stars excited that at the Roadhouse, where we specialize in regional American food, we’re now able to resurrect a real Ann Arbor classic. Just like at Drake’s, we squeeze fresh limes, mix them with water and sugar, and garnish with some of the lime rind. Refreshing. Delicious. Amazing. Ann Arbor. 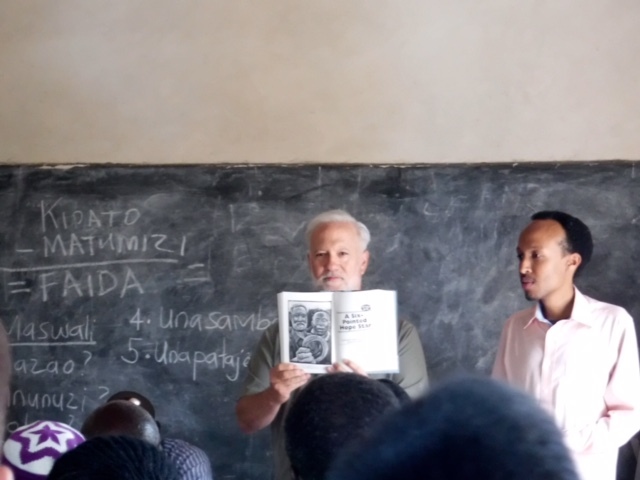 Caring and compassion; cacao and cost accounting; monastic monks and ethically-grounded ways to make money; the impact of direct trade and the inspiring work of Tanzanian farmers—Shawn Askinosie’s amazing life and inspiring vocation come alive on every page of Meaningful Work. If you’re looking for help in making your work and life more meaningful, Shawn’s book is a must read. If you’re already flourishing and feeling grounded in how your life is going, you’ll really want to read it. And if you think you don’t need to hear his message, well, to paraphrase Shawn, you probably ought to read it twice! Meaningful Work is a not-be-missed-inspiration for all of us! What Shawn has learned through his work has changed his life; if you read this book, and put its wisdom to work, it will almost certainly change yours. In the process, we will all come out ahead. 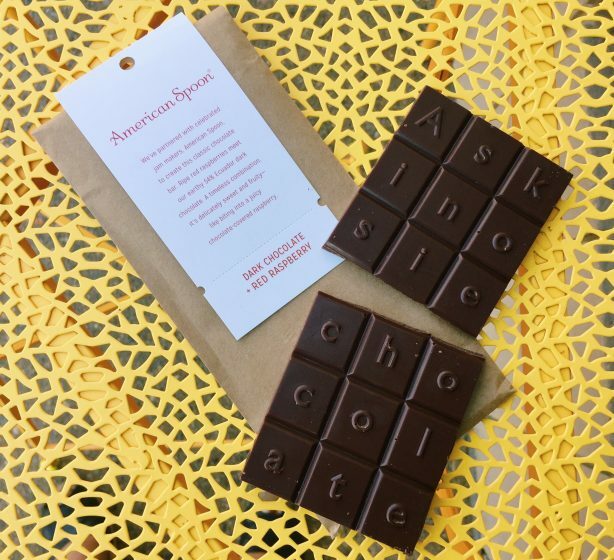 Before you crack open the book, buy yourself a bar of Askinosie chocolate (maybe one of the two I’m mentioning!). Nibble and appreciate regularly as you read. In honesty, I didn’t really think I’d like this bar. Clearly I’m a big fan of Shawn Askinosie’s work but I’m not usually too fond of chocolate and fruit combinations. I like fruit. And I like chocolate. But I don’t generally like them when they’re combined into a single confection. So really, I tasted this for the first time mostly because Shawn is my friend and I figured I owe him at least that much after he spent a good year working to develop the product. I should have known better. Shawn has—AGAIN—crafted something super special. I don’t know if it’s enough to fully change my beliefs about chocolate and fruit combos but it is really delicious. The tart sweetness of the raspberries marries marvelously with the dark Ecuadorian chocolate. Every bite is this terrific blend of flavors that’s exceptionally refreshing. So good it blew my old beliefs out of the water. Want to try some of Ari’s Favorite Things? 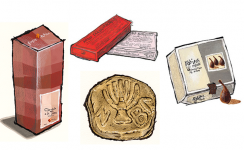 Come to Ari’s Top Picks Tasting (December 6 or December 20) at Zingerman’s Delicatessen. Ari hosts this food-stravaganza, where you’ll get to sample—and hear the stories behind almost 30 products—don’t wait too long because this class always sells out! Part Four is traveling the world!